Who can manage ontological solutions for Adaptive Systems? 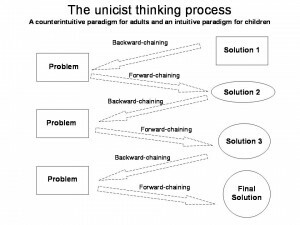 Simple thinking is unicist thinking. To deal with unicist ontological solutions individuals have to need to produce results and have a basic solution in their minds. An individual can only apprehend an ontological algorithm to manage an adaptive system if s/he can recognize it. To recognize it the individual needs to have the concept of a solution in order to be able to compare it with the solution provided by the ontological algorithm. People who have problems and not solutions in their minds cannot recognize ontologies. They need to rationalize them, transforming them into rationalisms. Unicist algorithms are only necessary to manage adaptive systems. They are unnecessary for administrative functions. 1 + 1 = 2 is a simple administrative system that is solved by knowing how the adding process has to be done. 2 = ∞ alternatives. This means that an individual has to find the best solution that achieves the result. 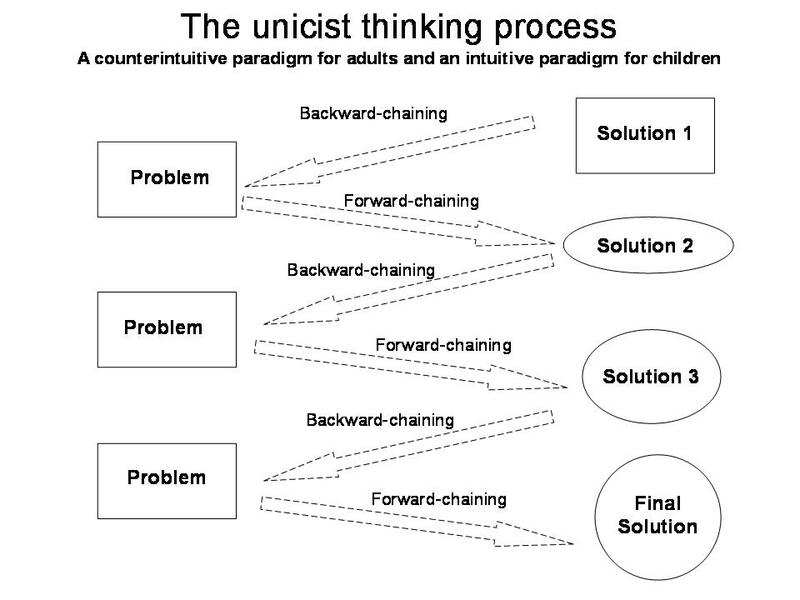 This implies working with backward-chaining thinking approaches. Backward thinking implies being able to think from the end to the beginning. Consider a mounting line. It is the capacity of an individual to decompose the final “product” into its components.